Released just last week, Free Your Mind is the fourth album from Australian synth-pop group Cut Copy. It’s an album so summery and just downright danceable in sound that it’s hard to believe that it’s been released in early November. If it were released just a few months prior it could have been the soundtrack to summer 2013. From the Intro to Mantra, Free Your Mind plays as one long love letter to the Second Summer of Love. If the Hacienda existed in 2013 it’d probably be playing the whole of Free Your Mind on loop. The fact that Dan Whitford’s vocals sound like Bernard Sumner crossed with Bobby Gillespie just adds to it. 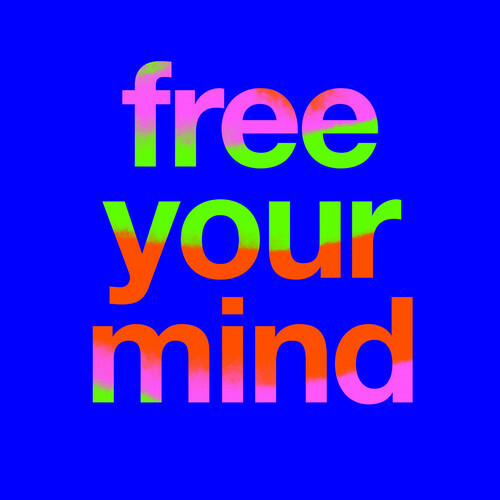 Every track on Free Your Mind invokes New Order, 808 State and so forth. From that perspective it’s hard to single tracks out as highlights. It’s a very consistent record. Meet Me In The House Of Love contains a blistering chorus that cements its status as one of the most downright euphoric dance records all year though. Then you have Footsteps, which contains a pounding bass-line that is more acid house than piano house. It’s so 808 State esque and it almost certainly samples Pacific State (for a second). The balance is the blissed out, slightly psychedelic Walking In The Sky – which is the perfect comedown after the sheer euphoria of the preceding twelve tracks. Free Your Mind is surely one of 2013’s most cohesive records – it’s utterly liberating to listen to. Much of it sounds like some sort of warehouse wave dreamscape. In that sense, the overall atmosphere of Free Your Mind is akin to Screamadelica – whilst listening to it, you feel like you’re in another world. Irresistible dance hooks are in abundance here. Does it bring anything new to the table? No – it’s too much of a sonic homage for that. Although frankly it’s so easy to get lost in the music on Free Your Mind that really, that doesn’t matter. And for that reason Cut Copy have released one of the best albums of 2013.